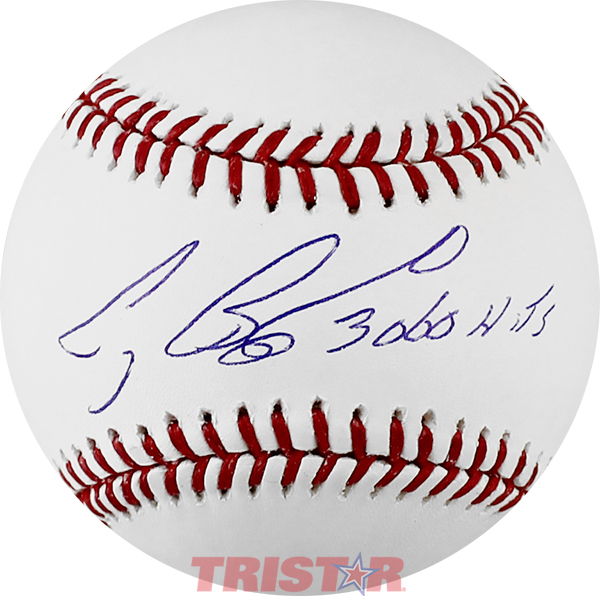 These Rawlings official Major League baseballs have been personally hand signed and inscribed "3060 Hits" by Craig Biggio. Each autographed inscribed baseball includes an individually numbered, tamper-evident TRISTAR Authentic hologram. Craig Biggio played second base, outfield, and catcher for the Houston Astros. During his 20-year career, he was selected to 7 All-Star Games, won 4 Gold Glove Awards, 5 Silver Slugger Awards, and became a member of the 3000 Hit Club. The Houston Astros retired his jersey #7 in 2008.